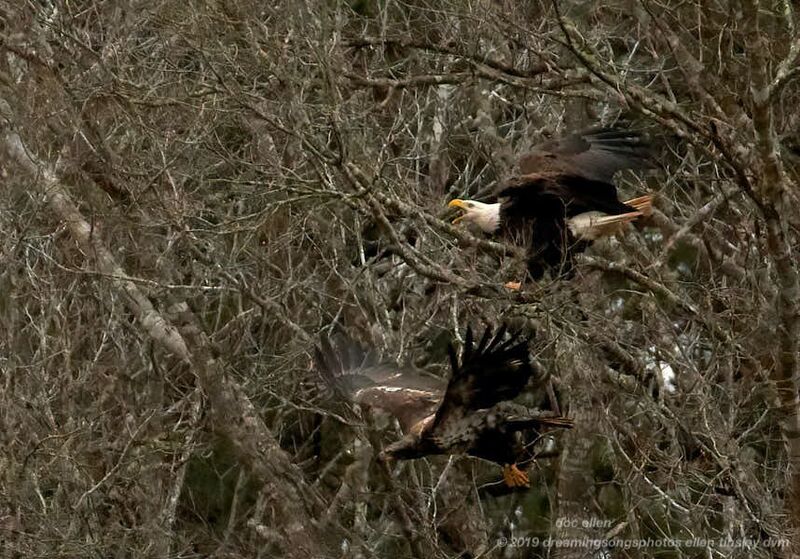 Jordan Lake Event: Do Bald Eagles and Ospreys Make Good Neighbors? 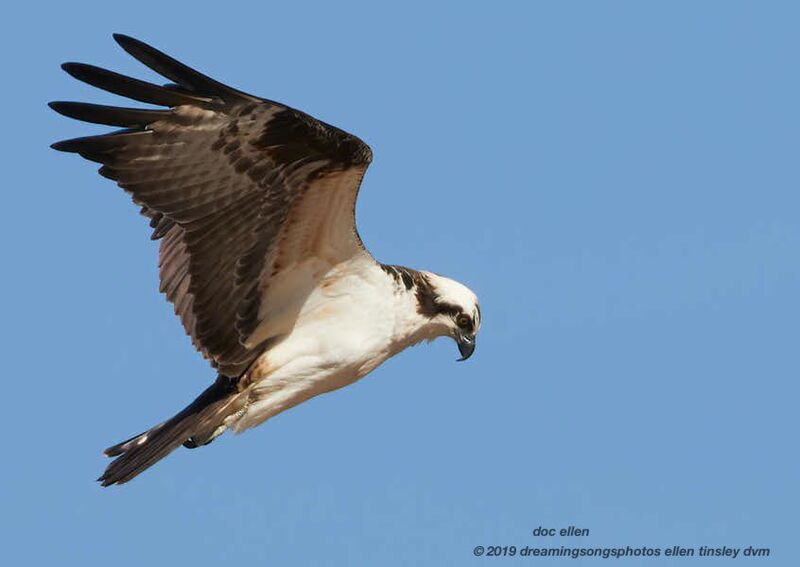 By neighdoctor March 6, 2019 Jordan Lake Event: Do Bald Eagles and Ospreys Make Good Neighbors? Event Invitation: Saturday, March 23, 2019, from 2:00 to 3:00PM. The dynamic fish hunter the Osprey, has started its late winter migration back towards the Lake. 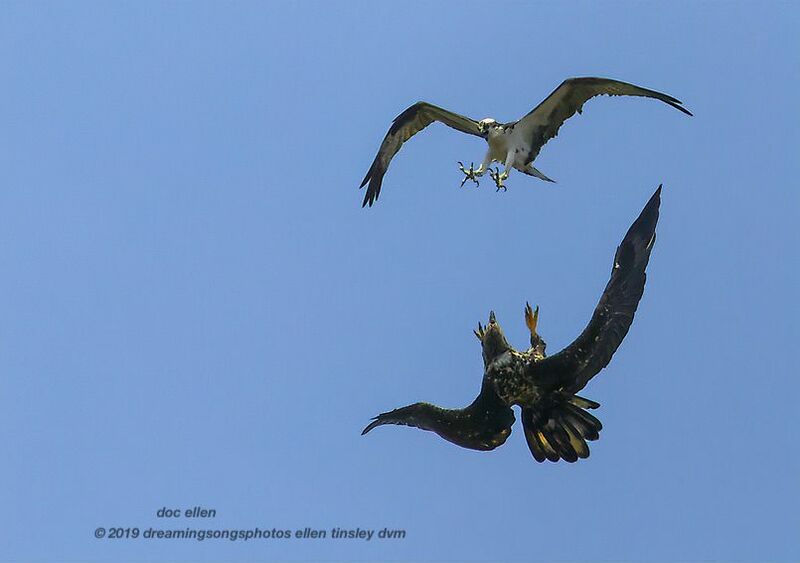 What a great time to discuss the interactions of the Ospreys and Bald Eagles of Jordan Lake! Please join Doc Ellen and Ranger McMurray for an indoor/outdoor presentation about these magnificent predators. We will also discuss other migratory birds, warblers, sparrows etc. that come north in the spring. Weather permitting, we will spend some time outside after the indoor portion. Please dress accordingly. No reservations required, just show up! For questions, email steve.mcmurray@ncparks.gov or contact Doc Ellen via her Facebook Page. An Osprey parent and an immature Bald Eagle face off because the eagle got too close to the osprey’s nest. 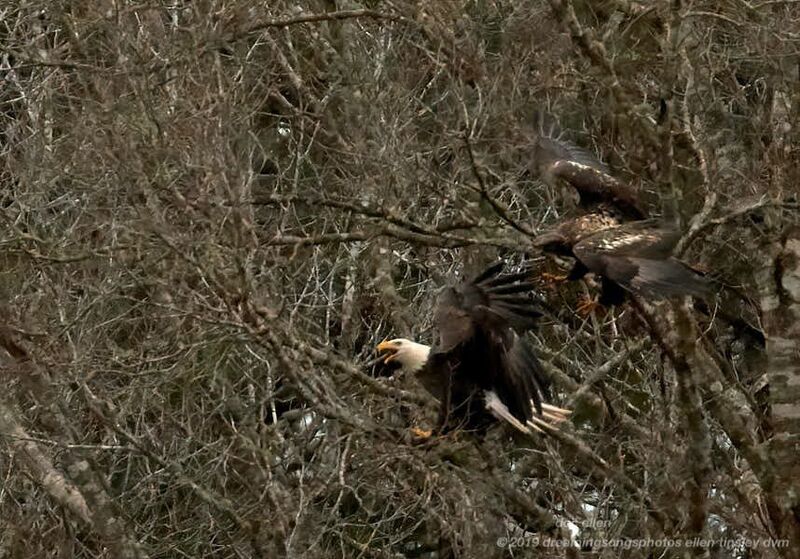 Bald eagles are ALWAYS challenging each other. 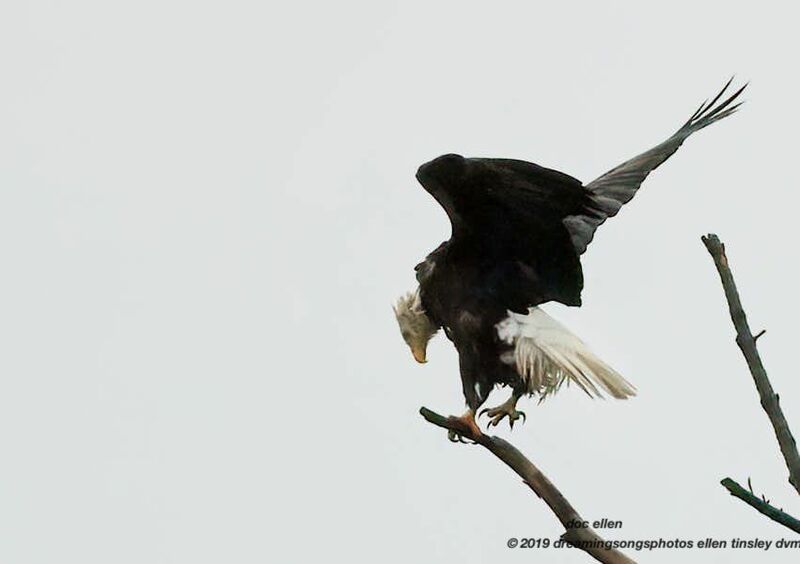 The 2-year-old eagle wanted the same branch that the adult was heading towards. 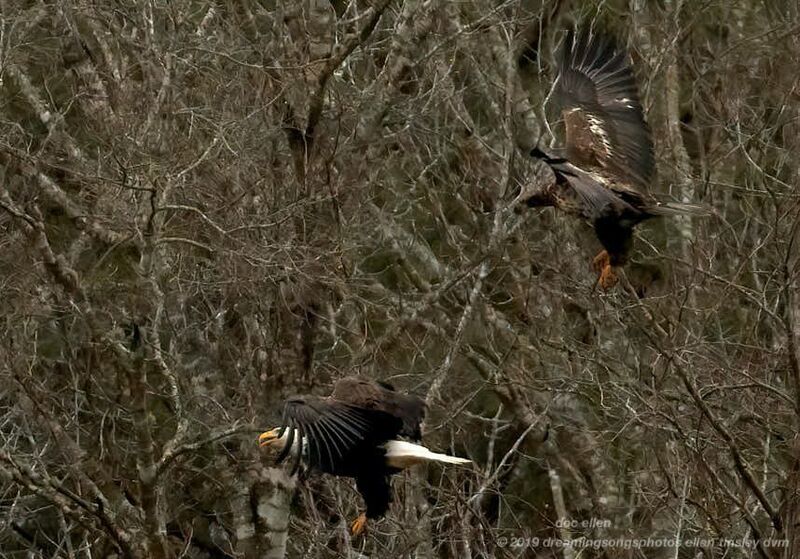 The youngster flexed his talons, ready to land and push the adult aside. No dice. 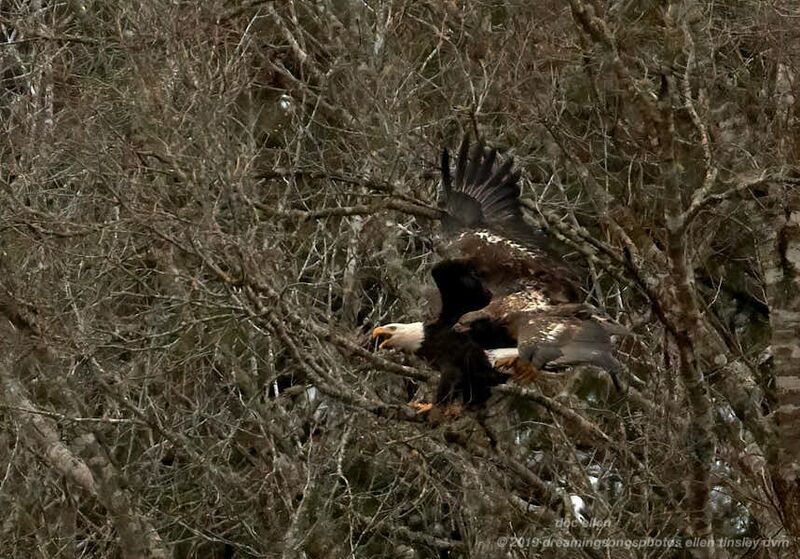 The adult fended off the younger eagle. Then the adult yelled his victory. 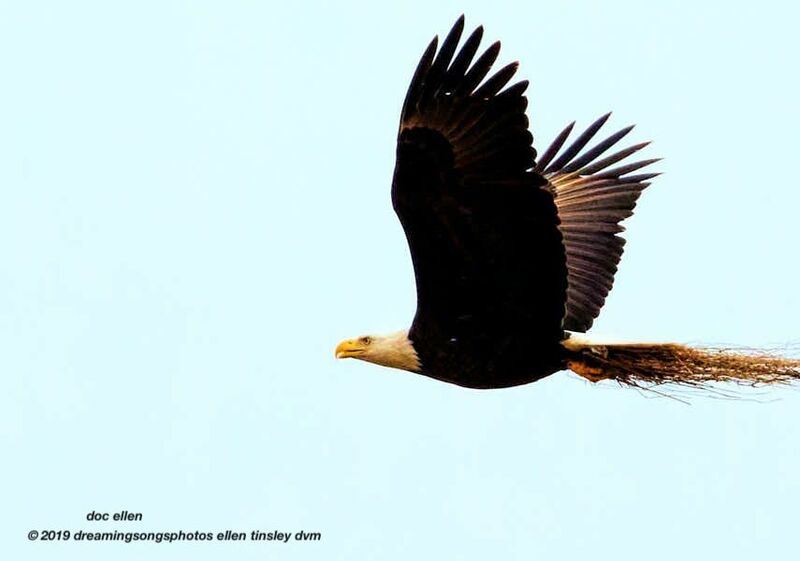 It takes a lot of nesting material to keep a bald eagle’s nest clean and insulated. I am not sure which parent bald eagle this is, but he certainly has a large load of straw. To collect the material, the bird finds rows of the straw on the shoreline or sometimes on a sandbar. 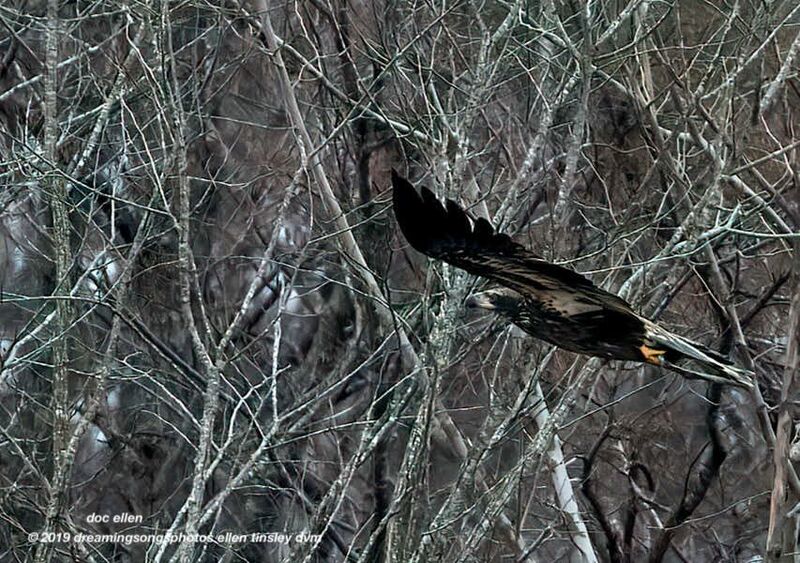 The eagle then flies across the patch, talons open, and snags the straw while flying. Reminds me of a plane catching the tail wire on the flight deck of an aircraft carrier. 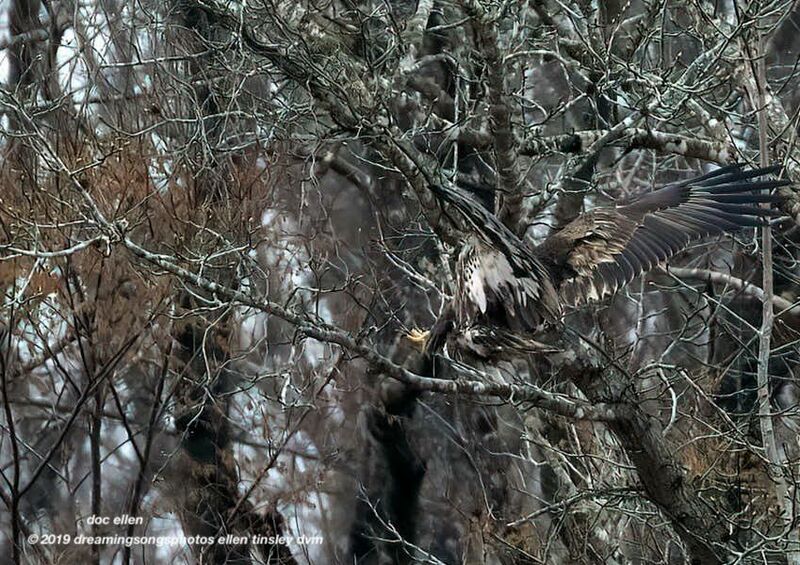 The young bald eagle, right at a year in age, had caught a fish from the Haw River, right below the Jordan Lake Dam. Then the youngster had to make a mad dash up into the trees if he was going to keep the fish for his breakfast. 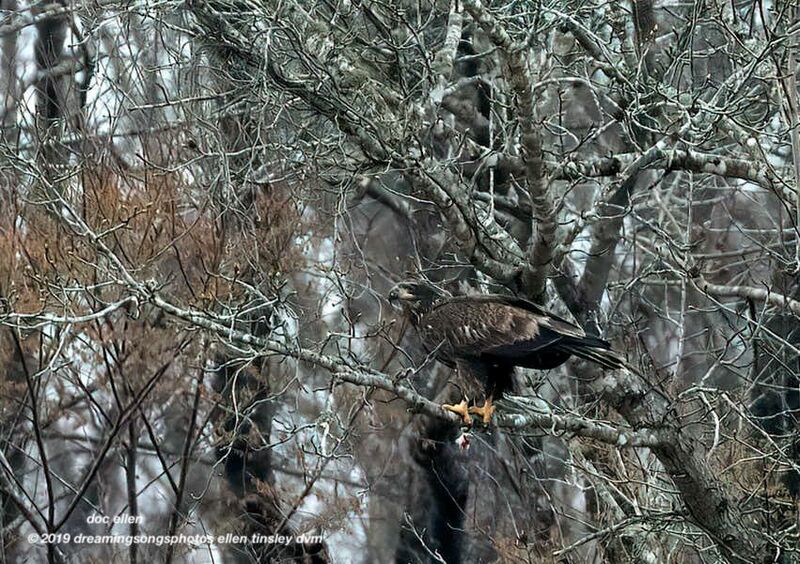 The eaglet got to the tree branch with the fish firmly under his right foot. It was a small fish and the youngster quickly tore it apart and finished all but the piece dangling from his left foot. He was one proud-of-himself bald eagle! With the longed for sunshine this afternoon, came the first Osprey of the year! The sky dancers have begun to return to fish the Haw River below the Jordan Lake Dam. 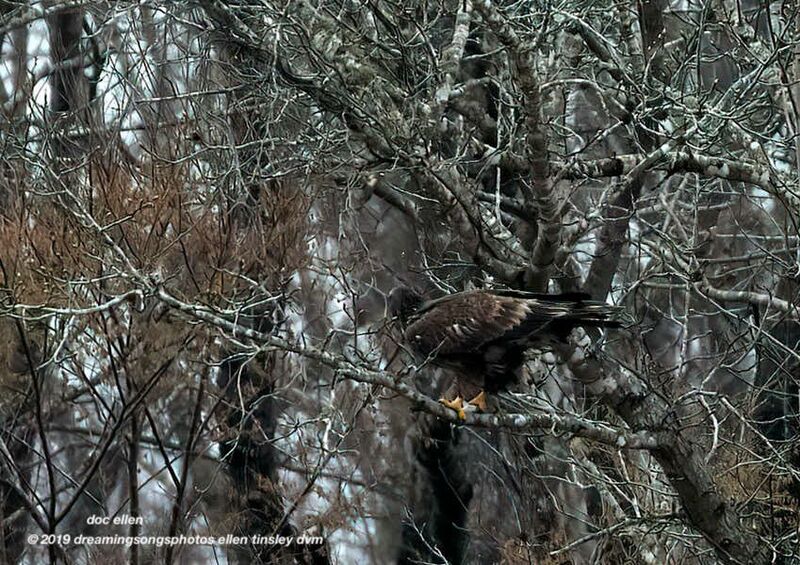 The two immature bald eagles just sat, hunkered down, waiting for the rain to stop.